Overview: The mission of BINA High School’s Judaic Studies curriculum is to prepare our students for the ethical and moral challenges they will face in the world around them. 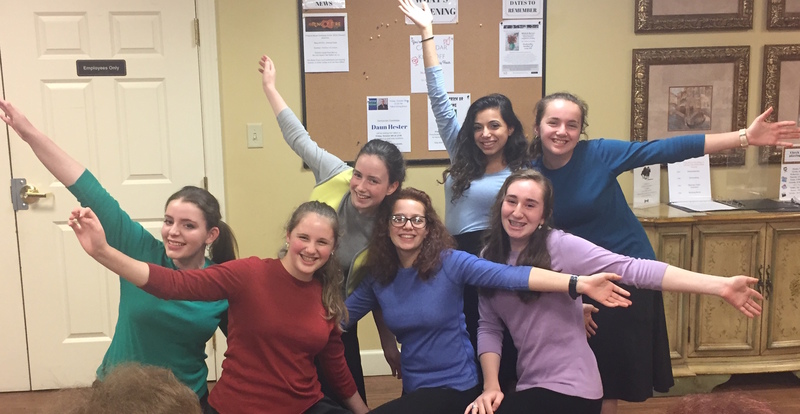 The courses offered are designed to imbue our young women with the ideals and aspirations of Torah, which will enhance their lives as well as provide them with the skills and analytical ability that permit graduates to advance into the seminaries of their choice. Our Judaic Studies department puts a major focus on the study of Chumash with commentaries as well as the study of Navi with commentaries. Halacha is also stressed as a means of practical implementation of Torah guidelines in everyday life. We also concentrate on giving our students a broad knowledge base with our Bekius curriculum. These courses include both a comprehensive overview as well as an in-depth, text-based analysis. Our courses are mostly level-based and run on a four-year cycle. Much emphasis is placed on practical application of Torah study to daily life and the personal growth of each student. The focus of this class is on developing textual skills for independent study, fostering higher thinking skills, and mastery of the subject matter. The classical commentaries are studied beginning with Rashi and continuing with Ramban, Seforno, and others. Discussions focus on the application of Torah principles to daily living. The focus in Navi is on providing a broad knowledge of the Prophets. It imparts an understanding of the early history of Am Yisrael and the moral and ethical lessons contained therein. Classes are primarily text-based, complemented by the inclusion of Rashi and early commentaries. Included in this course is a study of one of the Chamesh Megillos each year. Halacha classes are geared toward attaining proficiency and familiarity with the laws pertaining to daily life and Yomim Tovim. Students will have a clear understanding of sources, details and practical application of the halacha. Jewish History presents a broad perspective of the precious heritage of Am Yisroel with emphasis on the Divine Providence as it guides our nation through the centuries. An understanding of the forging of our nation’s character even during its darkest moments is taught to instill faith, pride, and respect for our leadership roles and our responsibilities toward the local and global communities. This class covers the same Sefer being studied in Chumash class, with the goal of completing all or most of the Sefer between the two classes. The class is content-driven, with a focus on the Hashkafos gleaned from the Perakim studied. Using classical source materials this class examines basic concepts of Yiddishkeit connected with the Parsha of the week. A broad overview of the entire Parsha is presented followed by a focused presentation on one section or Mitzva of the Parsha particularly relevant to the students with such varied topics as Emunah, free will, Shabbos, Simchah, etc. Each unit is self-contained. The course objective is gleaning an understanding of the Torah’s perspective and how to view the world through a spiritual lens. Self-improvement is encouraged through study of the classic works on Ethics with emphasis on Gadlus Ha’Adam (the inherent greatness of every individual). This class clarifies our approach to serving Hashem. 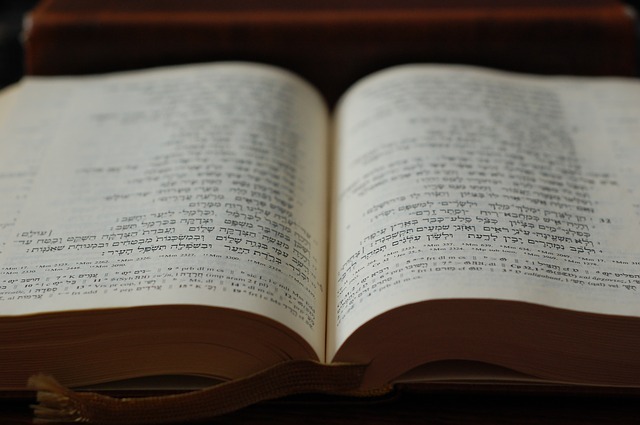 Tefilla classes aim to provide understanding of the literal meaning of our prayers as well as foster a personal connection to prayer through an analysis of the special lessons and values contained in the Siddur. The course will include portions of daily Davening as well as highlight the special Tefillos recited on the Yomin Tovim. The ability to speak Modern Hebrew fluently and with command is the primary objective of this course. Emphasis is placed on pronunciation and vocabulary in the oral expression with progression from formal and guided conversation to informal conversation and Hebrew literature. Grammar and composition in the written form are developed with instruction in the Hebrew tenses and variations of roots, prefixes, suffixes, and spelling conventions.